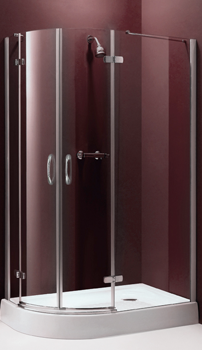 From high humidity levels to ordinary wear and tear, plenty of variables that local homeowners cannot control threaten the condition of Houston shower doors, but it is not all bad news. The idea that a sparkling new shower will inevitably develop cracks, grow mold and darken is a common misconception. While age will naturally dull a bit of that new glass shine, the depth of your care routine is a much better predictor of how your shower will hold up in the long run. As with any type of glass, whether it is Houston auto glass or a sliding glass door, regular upkeep makes all the difference. The same goes for the fixtures, flooring and wall tiles that make up your shower. With moisture control being a daily battle, your shower needs a lot more attention than dryer spaces elsewhere in the home. Following the easy maintenance tips below can help you keep your shower in great shape for years to come. 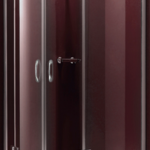 Because glass shower doors come in direct contact with water every day, hard water stains are often one of the first problems to surface in a brand new shower. Over time, they can turn parts of your glass doors a milky white color or form into unattractive opaque streaks. The upside is that hard water stains are completely preventable. The key to keeping them at bay is as simple as wiping your Houston shower doors with a soft towel or a plain old squeegee, preferably after each use. Removing excess water shortly after showering effectively stops it from solidifying into stubborn stains that eat away at the shower door’s fragile glass surface. Unfortunately, if you already have deep-seated hard water stains, a complete glass replacement may be your only option. Leftover moisture is the culprit behind many problems, including permanent stains and recurring mold growth, which is why proactive moisture management is so important. Speaking of mold, any damp, hard-to-reach spaces make ideal homes for floating mold spores. In addition to wiping down your shower door, clean its frame, the grout around the bathroom tiles and the gaps around the water fixtures on a weekly basis. Eliminating as much moisture as possible from the shower’s nooks and crannies can go a long way toward keeping your bathroom free of potentially dangerous mold colonies. Although it is true that bar soap is both economical and a traditional bathroom staple, it makes keeping shower doors, floors and walls clean much harder than it needs to be, mostly due to the sticky residue it leaves behind on everything it touches. For a quick, hassle-free cleanup, opt for gentle liquid soaps with natural ingredients that will not stain, clog or stick to any of your shower’s surfaces. Like most Texans, chances are that you and your family live in sandals in the spring and summer seasons. While they are great for keeping your feet cool when Houston heats up, sandals can indirectly wreak havoc on your shower tiles. Like excess moisture that sets into hard water stains, leftover dirt from the bottom of your feet can permanently stain light bathroom floors. Although giving your feet a quick wipe before jumping in the shower is ideal, you can also prevent staining by lightly scrubbing the floor after showering or using a bath mat during the warmer months of the year. For free quotes and more information about maintaining, repairing and replacing all types of residential and auto glass, contact the Apple Glass Company today. From Houston windshield replacement to shower door enclosures and repair, the experienced Apple Glass team has all of your glass needs covered. This entry was posted in Showers and tagged Houston Auto Glass, Houston Shower Doors, Houston Windshield Replacement. Bookmark the permalink.